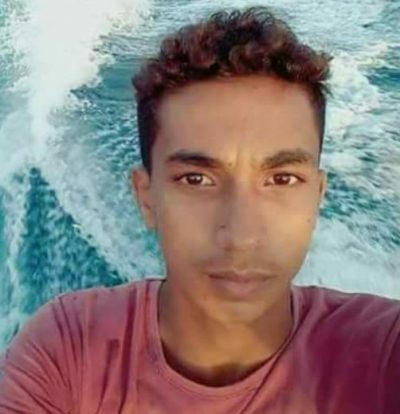 Update: Medical Sources identified the slain fisherman as Ismael Saleh Abu Ryala, 18, from Shati’ refugee camp, west of Gaza city. The wounded fishermen have been identified as Mahmoud Adel Aby Ryala, 18, and ‘Aahed Hasan Abu Ali, 26, who were both abducted by the navy. The Israeli navy shot dead, on Sunday evening, a Palestinian fishermen and wounded two others while they were fishing off the Gaza coast, Palestinian and Israeli sources said. Head of Syndicate of Palestinian Fishermen Nizar Ayyash said that the three fishermen were aboard a fishing boat, on their way back to the port, when the Israeli gunboats opened fire at them. “All of them were directly targeted,” he said, noting that all of them, including the one who was killed, were abducted by the navy. While he did not know the reason why the Israeli naval forces had opened fire on the men, Ayyash stressed that they did not cross the fishing limit defined by the Israeli occupation. Ayyash identified the three fishermen as Mahmoud Adel abu-Riyaleh, Ahed Hassan abu-Riyaleh and Ismail Saleh abu-Riyaleh. Meanwhile, according to Days of Palestine, an Israeli source claimed that the Israeli navy opened fire at the boat of the three fishermen after they allegedly crossed the arbitrary line of six nautical miles set by the Israeli authorities for Palestinians to fish. “The Israeli navy opened fire at the body of the boat, but they were wounded and one of them suffered serious injuries and later died from those injuries,” the Israeli source said.